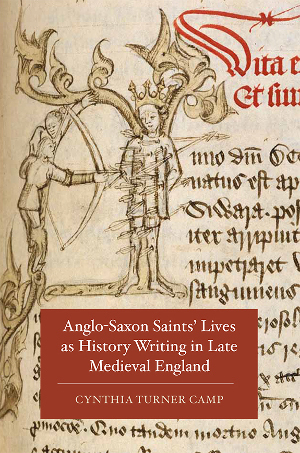 I am the author of Anglo-Saxon Saints' Lives as History Writing in Late Medieval England (Boydell and Brewer, 2015) and co-editing, with Emily Kelley of Saginaw Valley State University, a collection of essays on medieval merchants' veneration of saints across western Europe: Saints as Intercessors between the Wealthy and the Divine: Art and Hagiography among the Medieval Merchant Classes (Routledge, forthcoming). Recent articles include "The Temporal Excesses of Dead Flesh," postmedieval 4.4 (Dec. 2013) and "Spatial Memory, Historiographic Fantasy, and the Touch of the Past in the Middle English St Erkenwald," New Literary History 44.3 (Sum. 2013).